That commercial in the theater was hysterical. Did you notice that they were giving out counters as people exited? 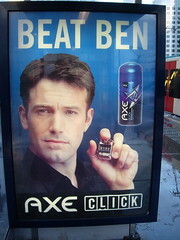 If only we had been faster, we could have gotten axe body spray counters! Damn!